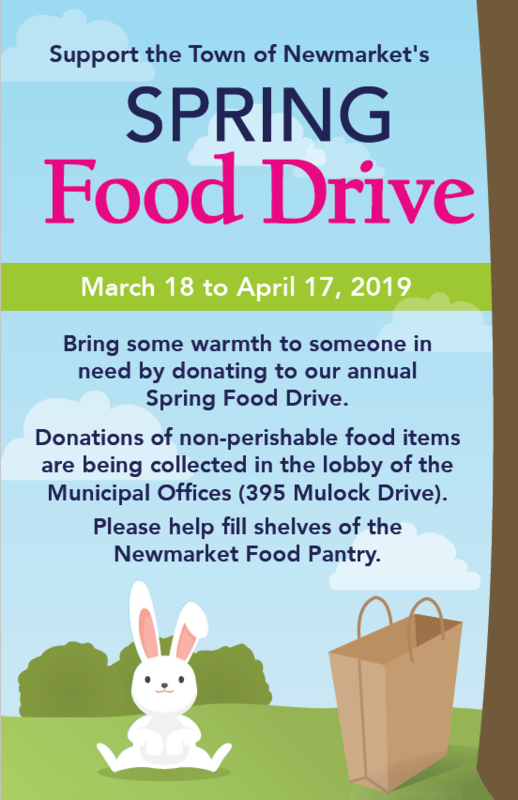 Support the Town of Newmarket's Spring Food Drive! Bring some warmth to someone in need by donating to our annual Spring Food Drive. Donations of non-perishable food items are being collected in the lobby of the Municipal Offices (395 Mulock Drive). Please help fill shelves of the Newmarket Food Pantry.